Google Europe Blog: How green is the Internet? ” to explore that very question. At the summit, experts presented data on how the growth of Internet infrastructure, including devices like phones and tablets, can impact the environment. We also saw great excitement about the potential for entirely new Internet tools to deliver huge energy and carbon savings in areas like transportation, e-commerce and digital content. We’ve posted the videos from those sessions online and invite you to take a look. We also enlisted the help of Lawrence Berkeley National Laboratory (Berkeley Lab) to gather more data. 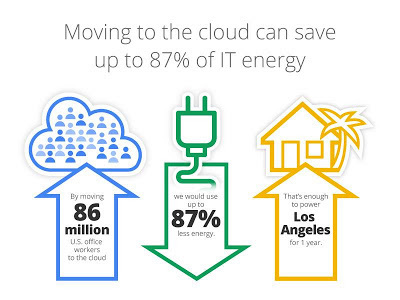 Their study, released today, shows that migrating all U.S. office workers to the cloud could save up to 87 percent of IT energy use—about 23 billion kilowatt-hours of electricity annually, or enough to power the city of Los Angeles for a year. The savings are associated with shifting people in the workforce to Internet-based applications like email, word processing and customer relationship software. 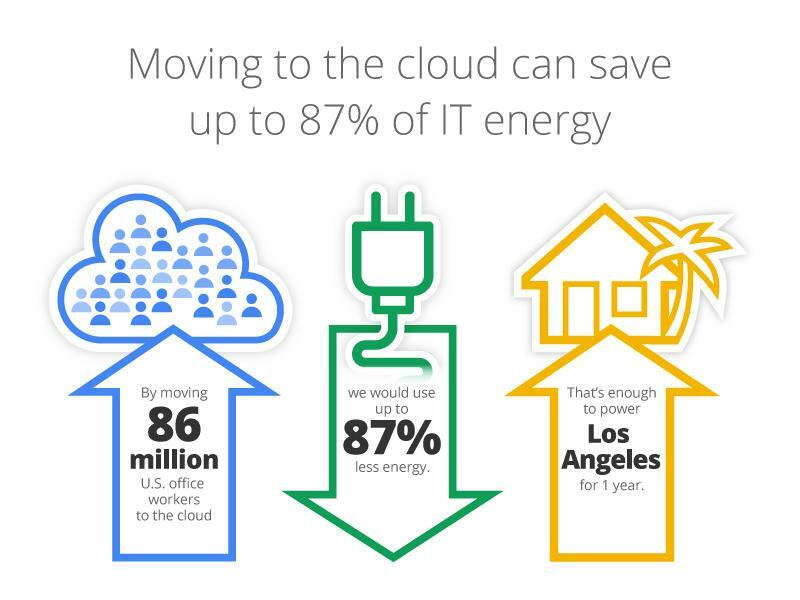 These results indicate that the Internet offers huge potential for energy savings. We’re especially excited that Berkeley Lab has made its model publicly available so other researchers and experts can plug in their own assumptions and help refine and improve the results. Berkeley Lab is working a European version of the study, to be released later this year. Last week we hosted a summit called “How Green is the Internet?” to explore that very question. At the summit, experts presented data on how the growth of Internet infrastructure, including devices like phones and tablets, can impact the environment. We also saw great excitement about the potential for entirely new Internet tools to deliver huge energy and carbon savings in areas like transportation, e-commerce and digital content. We’ve posted the videos from those sessions online and invite you to take a look.